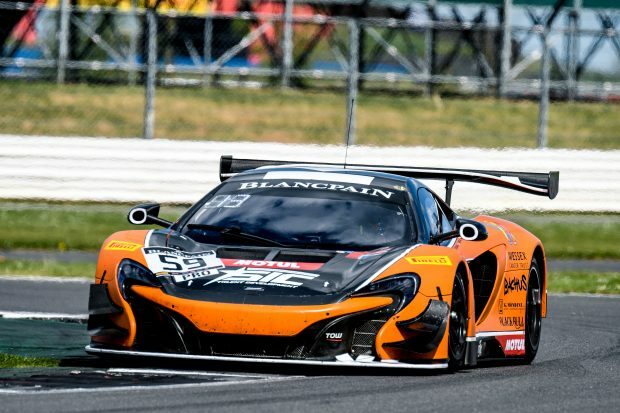 Jazeman Jaafar, McLaren GT Academy Driver, raced in the second round of the Blancpain Endurance Series last weekend. Driving alongside Dean Stoneman and Andrew Watson in a Strakka Racing McLaren 650S GT3, the trio’s #59 car, although finishing well done the order in the race, showed promise and strong pace, and were unlucky not to have had a better result. Jazeman’s weekend began with practice and qualifying sessions prepared the #59 car for the race, with the team using the sessions to develop the car set up for race conditions. In qualifying the car was running well, with Jazeman setting 11th fastest time in the second of the three sessions. Andrew was driving for the third session, but was unable to show the car’s potential, only having time for one flying lap before a red flag halted the session, leaving the car in 23rd position for the start of the race. Jazeman, a Sepang International Circuit Talent Development driver, was selected to take the start for the three hour race and had an awesome string of opening laps, moving up to 15th place after 10 laps of running. The young Malaysian pitted from 13th place on lap 23, handing over the car to Andrew for the middle section of the race. Andrew had a strong stint, although suffered a set back after exiting the pits when he was hit by a Ferrari, dropping him down four places. He recovered well, finally pitting from 11th for Dean to bring the car home. Unfortunately the #59 McLaren 650S developed a technical issue that hampered Dean’s pace, dropping him back down the field and although the British driver struggled on, he nursed the car home in 29th place of the field of 45 cars. Jazeman returns to Malaysia this week, with his Formula 1 commentating duties for Fox Sports Asia, keeping him busy until he returns to the car for further testing and racing.